After years spent under Portuguese and Indonesian rule and a rocky start to its independence, East Timor (Timor-Leste) is a warm and welcoming destination offering rich culture and history, superb scenery and some of the friendliest people you'll ever encounter. With its fascinating mix of history, culture and natural beauty, this is a unique gem of Southeast Asia that should be on your radar. 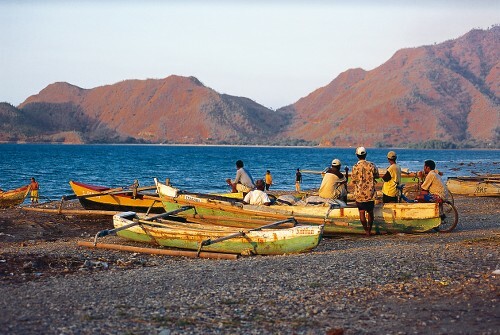 The capital of Dili offers a taste of Portugal in the tropics, and once you venture further afield you'll soon discover traditional villages and intriguing colonial towns, beautiful beaches, rugged mountains and the lush green interior of Southeast Asia's newest nation. Savour Dili's laidback atmosphere and Portuguese colonial architecture, learning about the country's turbulent past as you visit important historical monuments; discover traditional Timorese culture in welcoming villages; and shop for colourful basketry and handicrafts in regional markets. Journey through fertile valleys, picturesque mountain ranges and lush coffee plantations; escape to the white sand beaches and turquoise waters of Atauro Island for snorkeling, swimming, fishing and beachcombing; and trek to the top of Mount Ramelau to see the sun rise from East Timor's highest peak. Join our East Timor Adventure and be one of the few to experience this little-visited gem of Southeast Asia! Take in this pleasant, laid back city as you visit historic sites and savour the Portugese food and architecture. Shop in the seaside town of Maubara and explore its impressive 17th century fort. 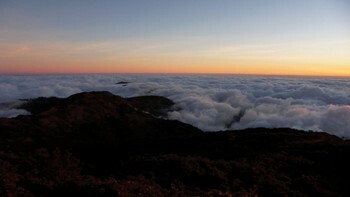 Enjoy a sunrise from the top of Mt Ramelau, the highest point of East Timor, during a two day trek. 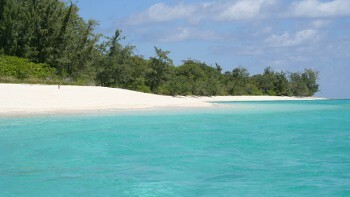 Kick back on the serene beaches of tropical Atauro Island, keeping an eye out for dolphins and whales in the distance, and discover the underwater life of the pristine waters. Make friends with this open and welcoming culture in Dili as you learn about traditional dance and music. 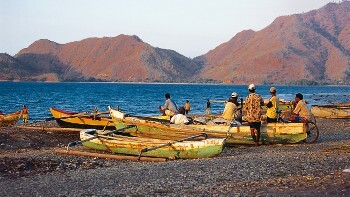 Our guides are what make your Timor adventure so special and personal. Their passion and professionalism will shine through as they share their extensive knowledge of their independent island home with you. With our team of local experts on the ground, we can customize your Timor experience to create the perfect holiday should you wish to extend your hike, spend extra days snorkeling, embark on whale watching or continue combing the endless beach. 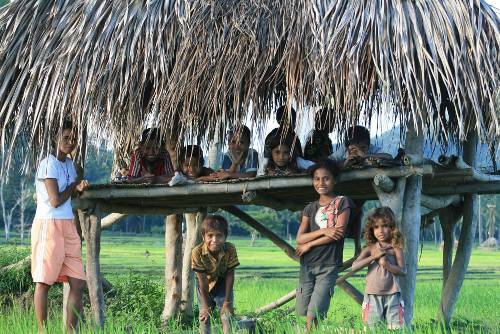 Responsible travel practice is at the heart of all programs that we offer in Timor. We are commited to safety and sustainability in the region, supporting local communities and the protection of the environment as well as providing employment opportunities through tourism. We closely control and monitor the waste we produce during tours, encouraging our local partners to do the same. Litter collection days are also coordinated to clean up litter hot-spots. We have a policy of a maximum driving speed of 50km per hour to minimise the risk of injuring wildlife with our vehicles. We endeavor to limit the contact travellers have with vulnerable children in rural tourist areas. If a child is nearby we encourage the child to return to their home and family. 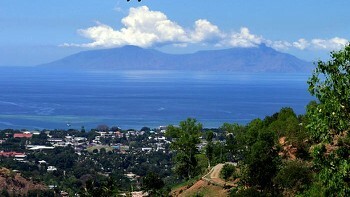 East Timor has two main seasons: wet (December to April) and dry (May to November). Day temperatures are around 30°C to 35°C year-round in the lowland areas, dropping to the low 20s overnight. In the highlands, warm-to-hot daytime temperatures drop to a chillier 15°C at night, less at altitude. Credit Cards are accepted in most mid-range to upper-range restaurants and hotels and some large supermarkets. Both ANZ Bank and Western Union have offices in Dili. ATM’s can be found in most banks so those wishing to take funds out via Debit/Credit Cards should ensure these cards have Cirrus/Maestro facilities – often on back of cards. Electricity in East Timor is 220 Volts, at 50 hertz. The most common pin type is C. (2 round prong). Most passport holders, including Australians, British, Canadians, Americans and New Zealanders will be issued with a 30 day visa at a charge of US$30 on arrival when landing in East Timor. Details of visas requirements are provided in your confirmation kit.